Marjorie Steele-Fitzgibbon, an American actress, painter, and sculptor who later immigrated to Ireland and became a naturalized Irish citizen, died in January at the age of 88. Known for her prolific stage career, as well as her short film career, the all-around artist was born in 1930 in Reno, Nevada. 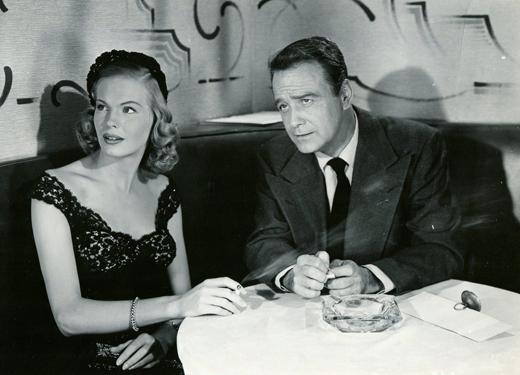 Marjorie Steele and Lew Ayers in 1955’s No Escape. In 1939, the family moved to San Francisco, where Marjorie found her first artistic passion, acting. including RTÉ’s offices, Newman House, and a statue on North Earl Street of James Joyce. Respected Boston news reporter Jack Hynes died of heart failure in February at the age of 88. Known affectionately as “the dean of Boston news,” Hynes received the United Press International award for a collection of pieces on New England soldiers in Vietnam and is a member of the Massachusetts Broadcasters’ Hall of Fame. John Bernard Hynes Jr. was born in 1929 to John B. Hynes, who served as Boston’s mayor from 1950 to 1960, and Marion Barry Hynes. He grew up in Dorchester, where he graduated from Boston College High School, and obtained his degree in journalism from the University of Notre Dame, graduating in 1952. He returned home in 1955 after serving three years in the Marine Corps, taking a job with WBZ-AM and working in Boston for the rest of his career. Hynes’ stoically serious manner and refusal to cater to the amusement of his viewers lent a cautious gravity to his subject matter, establishing him as one of the most trustworthy local reporters in the business. 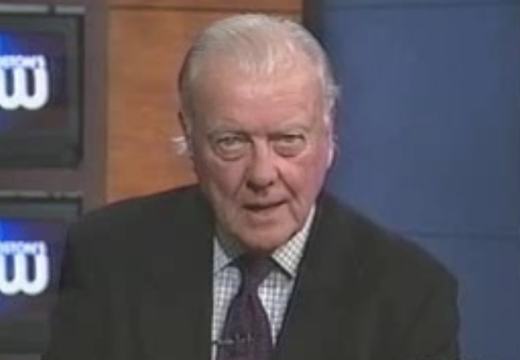 Explaining his deliberate, perpetually humorless on-air affect in a 1984 interview with the Boston Globe, Hynes remarked, “Most of the stories you do don’t lend themselves to levity.” His respect for the dignified nature of his work extended so far that he refused to accept More magazine’s 1976 award for Most Telegenic Anchorman. The close ties and influences of the Hynes family were prominent at the wake service, which saw over 1,000 gathered in Our Lady of Good Voyage, a church Hynes’s father approved construction of when he was mayor of Boston, and which was rebuilt by his son, John III, during his oversight of the Seaport expansion project in 2016. Predeceased by his wife Marie, Hynes is survived by his sister Marie, brothers Barry and Richard, children John, Barry, Kelly, and Shauna, 10 grandchildren, and four great-grandchildren. His youngest brother, Richard Hynes, died himself on the day of Jack’s wake. 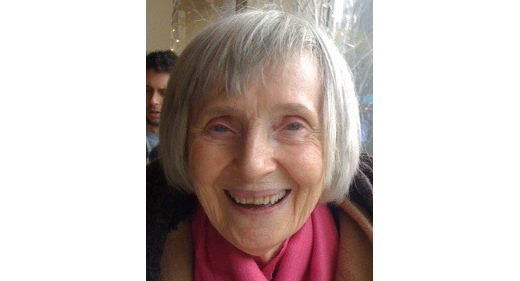 The first female city council member of International Falls, Minnesota, passionate social justice advocate, and beloved librarian of Duluth, Virginia Hyvarinen, died in March at 95. As an adult, Hyvarinen settled in Minnesota’s International Falls, where she began a crusade for change. When a seat opened on the city council in 1965, she ran, encouraging women to vote with an enthusiasm that was ultimately rewarded. After moving to Duluth, Hyvarinen’s interest in political reform continued to influence her career as a researcher with a specialty in local history for the Duluth Public Library. She continued her political activism, representing Ted Kennedy and Jesse Jackson at the Democratic National Conventions of 1980 and 1988. Predeceased by husband Matti, Hyvarinen is survived by four children and one grandson. Father Joseph Mallin, S.J., died at the age of 104 on Easter Sunday morning in Hong Kong, having served 60 years in the Jesuit ministry there. He was the last surviving relative of executed Easter Rising leader Michael Mallin and the last-known direct descendant of any Rising leader. Mallin’s family didn’t discuss the Rising much, despite Michael, who wrote in one of his final letters before his May 8 execution, “Joseph, my little man, be a priest if you can.” Joseph found his calling to the priesthood by following the footsteps of his older brother, Sean, and was sent to Hong Kong in 1948. “His was a practical faith with a strong base in social justice and equality; not unlike his father,” his family said in a statement. Mallin was also an educator and founded Wah Yan College where he taught future influential leaders like Martin Lee, founder of the Democratic Party of Hong Kong. 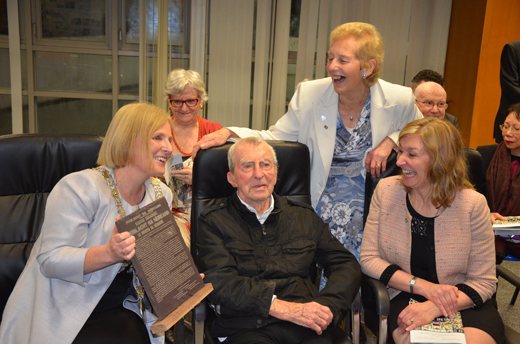 In 2016, he was awarded the Freedom of Dublin for his efforts serving the people of Hong Kong, fulfilling his father’s heavenly wish. 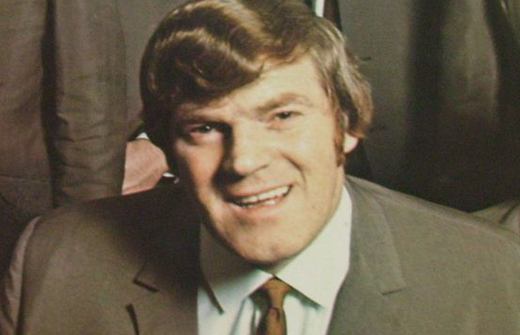 Irish country music star Thomas “Big Tom” McBride died in April, at 81. The musician traversed national borders through song over a five-decade career, providing the connection between many displaced Irish and their native home. Born in Castleblayney, County Monaghan, McBride was immersed in farm life, which strongly influenced his music. He left Ireland to work in England, where he purchased a guitar and played in pubs. In 1965, he founded The Mainliners with six friends. He embarked on a full-time musical career, developing a committed following especially among rural Irish, who would remain loyal long after his retirement. McBride was inducted into the Irish Country Music Hall of Fame in 2016, and plans to build a monument in his honor were unrolled just weeks before his death. Predeceased by his wife Rose, McBride is survived by children Thomas, Dermot, Aisling, and Siobhán. 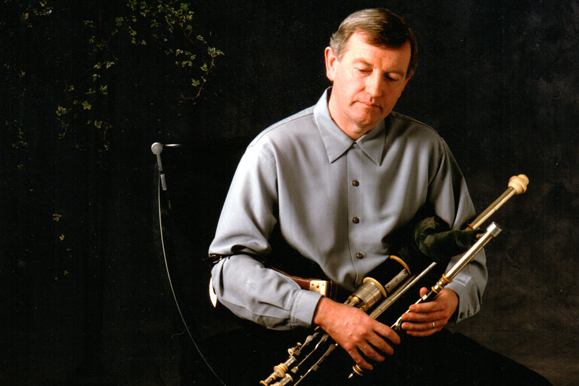 Master uilleann piper Liam O’Flynn died in March at the age of 72 after a long illness in Dublin. Co-founder of the legendary traditional group Planxty, O’Flynn was an integral part of spreading awareness of the uilleann pipes around the world. Born in Kill, County Kildare, to parents with musical lineages, O’Flynn was introduced to the uilleann pipes at a young age by local piper Tom Armstrong, who would later become O’Flynn’s instructor. From 1972 to 1975, O’Flynn toured internationally with Planxty, which he co-founded with musicians Christy Moore, Andy Irvine, and Dónal Lunny, developing and cultivating a global audience for Irish traditional music. Speaking to the Guardian, bandmate Christy Moore likened the way in which O’Flynn played to a “deep and moving soulfulness.” Though O’Flynn left the band full-time when its original iteration broke up, he was included in reunions and formations unless he was working on other projects throughout the 1970s and ’80s. His skills as a piper were widely sought after not only within his instrument’s genre but throughout the world as he worked with international stars like Kate Bush and the Everly Brothers. He is survived by his wife Jane and his sister Maureen. Well-known character actor Tim O’Connor died of cancer in April at 90. O’Connor led a successful career in television in the 1960s and ’70s, garnering a reputation for being a consummate thespian. Along with his memorable role as Peyton Place’s Elliot Carson, he played a number of guest roles on shows including Gunsmoke and Buck Rogers in the 25th Century. Tim O’Connor in Peyton Place. 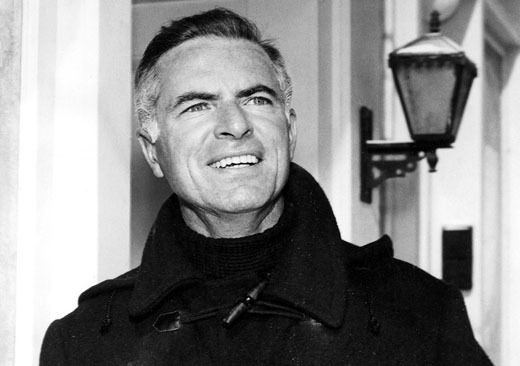 Raised in Chicago, O’Connor trained as an actor at the city’s Goodman Theater after serving in the U.S. Navy during World War II. He moved to New York for opportunities, performing in several off-Broadway productions, once filling in as John Proctor in Arthur Miller’s The Crucible. His career took off in 1965 when he was cast in a guest spot on Peyton Place that he turned into a recurring role. Retiring from Hollywood in 1997, O’Connor remained invested in show business by directing community theatre in his town, Nevada City. He is survived by his wife Sheila MacLurg, son Timothy, and three stepsons. 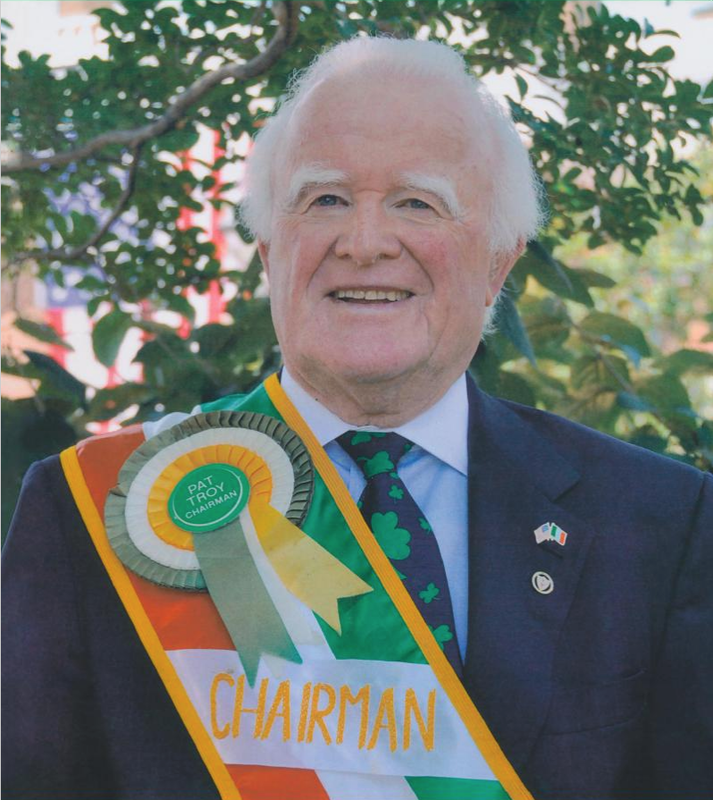 Alexandria, Virginia’s premier Irishman, Pat Troy, died in March at the age of 76. Beyond founding two chapters of the Ancient Order of Hibernians, the Ballyshaners’ league to promote local Irish culture, and being a dedicated member of the Basilica of St. Mary parish, Troy owned the city’s Ireland’s Own Restaurant & Pub. The bar’s moment in the limelight came in 1988 when President Reagan visited, recognizing Troy as an essential member of the community. Raised in Kilcormac, County Offaly, Troy immigrated to the United States at 21. His enthusiasm for his homeland helped bring about Alexandria’s first St. Patrick’s Day Parade in 1982. In a fitting tribute, Troy and his wife Bernadette were the parade’s grand marshals in the 37th annual celebration this year just days before his death. In addition to Bernadette, Troy is survived by his children Patrick and Kathleen, two granddaughters, two brothers, and a town full of friends.